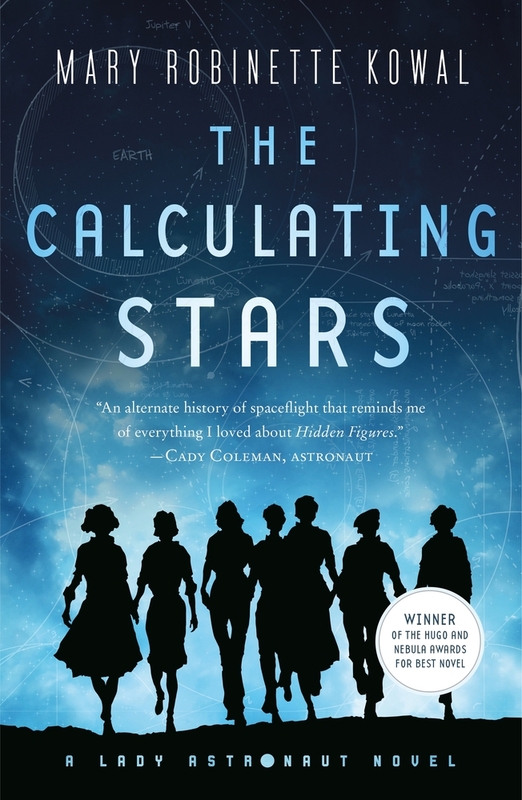 Elsewhere online I’ve been talking about how The Calculating Stars is one of my favorite science fiction novels of the year, and how I expect it’s likely to be remembered when “best of” lists and award nominations crop up. But here, today, author Mary Robinette Kowal is here to tell you about her book, and the Big Idea behind it… which may involve a very large rock. The Big Idea for The Calculating Stars is pretty simple. Apollo-era science-fiction with women astronauts. But the real Big Idea actually starts before I wrote the duology, with a story called “Lady Astronaut of Mars.” In that story, I wanted to capture the sheer wonder of what we accomplished during the Apollo era. This is a time when Bradbury was putting civilizations on Mars, and my dad was programming with punch cards. I mean, we put people on the moon in a craft that looked like a jiffy-pop container when the entire mechanical computing power of the world was less than in your cell phone. The Calculating Stars is set in that world and begins about 30 seconds before a meteorite slams into the Earth in 1952. This is before mechanical computers are prevalent or reliable. The word computer still meant “a person who computes” and those people were predominately women. Computers came up with equations, the algorithms, calculated trajectories, and shaped the early days of space travel. But…men with equivalent degrees and experience became engineers with higher rates of pay and status. The more things change, and all that…. My main character, Dr. Elma York, is a computer. She’s also a pilot, which isn’t a combination that I needed to make up. You probably know about Hidden Figures, so let me tell you about the Mercury 13. These were a group of women who were put through the same tests as the original astronauts. All of them were pilots, and many were also computers, chemists, or business owners. The people running the program were interested in the fact that women were lighter than men. But, the testing was shut down by Lyndon B. Johnson because he didn’t think women should go into space. What would have happened if he hadn’t shut that down? What if, say, I dropped a giant rock on D.C.? Now, if you’ll notice there are actually two big ideas in this book. The first is women astronauts. The second is an accelerated space program. Here’s the thing… Wernher von Braun, widely regarded as the father of modern rocketry, had a plan to go to Mars in 1947. A viable plan. The principal barrier was funding. To be clear, if executed exactly as written, everyone would have died because he based it on a flawed understanding of Mars’s atmosphere. But if the plan had gone ahead, they would have sent orbiters and probes to the planet and revised it. He wrote this plan in an era before we’d even gotten a satellite off the planet, much less a person. He wrote this before punchcards. He wrote it when all the math was done by hand. What would have happened if we had continued to throw money at the space program at the rate we did during the space race? What could we have accomplished if it was an international cooperative effort? What if there was a strong imperative to get off the planet? What if I dropped a giant rock on D.C.? So that’s the big idea. Drop a giant rock and get off the planet in jiffy pop-container spaceships guided by smart women with sliderules. You know this is going to be up your alley when you read a couple of paragraphs and immediately request the book from the library because you don’y want know any more before reading the book. This absolutely looks my jam. Sold me. Gonna get it today. I’m simultaneously annoyed, because I’d never known that women had been considered for the space programme and then dropped, and super excited, because this sounds like a great book! “What would have happened if we had continued to throw money at the space program at the rate we did during the space race?” — This thought keeps me up sometimes. Sounds like a great premise; look forward to it. I enjoyed “The Lady Astronaut”. Sold on the idea so bought it! Looking forward to reading it over the summer holidays! In the late 70s and early 80s I worked at NASA Langley with some of their human and electronic computers. NASA had given the women computers various other jobs so as not to fire them. It did not work well. Computational skills and low error rates did not lead one to a future in constructing teaching aids or press materials. The women computers I knew just hung in there doing nothing work until they could retire. Drop a rock on DC. I’ve heard that the audience cheered when the aliens in “Independence Day” blew up the the Whitehouse. Movie is dated 1996. “Lady Astronaut of Mars” is a great story. I’m looking forward to the book. The mercury capsule is like a washing machine with a seat jammed inside. The thing is tiny tiny. Apollo is not much better. Sometimes it feels like we’re at least a few centuries from a world where people get to do what they want regardless of gender, race, or other irrelevant measure. It’s a mildly creepy feeling to start reading a story and find out within moments that I’ve just died in the world of the story. I was two months old on March 3, 1952, and I was living right outside Washington, D.C. I still intend to read the rest of the book, which looks excellent, as I mourn my infant self in the other universe. How the hell have I missed this? I grew up in the Gemini/Apollo era and, well, let’s just say that dropping a rock on DC has more appeal this year than most years. Bought. The excerpt hooked me. But (as someone who lives 4 miles north of the DC beltway) I would not want a giant rock to destroy the entire area including me and my family. I would hope that it’s possible to imagine circumstances in which the present federal government could be dealt with more selectively. “He wrote this before punchcards.” ?? Really? Herman Hollerith invented (some form of) punchcards back in the 1880s to speed up the processing of the census. Also a very primitive card sorter and a tabulating machine. Used for the 1890 census (I don’t know if the manual processing of the 1880 census was ever completed). Supposedly punchcards go back to the Jacquard Loom but whether Hollerith was aware of the Jacquard Loom I do not know. Thus, the original use of punchcards was for information storage. Their use for storing computer programs had to wait for the invention of the electronic computer. Frank, the story i heard was that someone applied for a patent for using punch cards for computer storage and it was declined because the jacquard loom qualified as prior art. Greg, Hollerith’s patent was granted in 1889 (filed in 1884). And two further patents followed. Sounds fantastic! 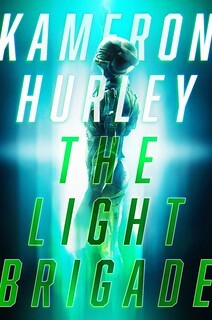 This is officially on my to-read list. I finished reading this book about 45 minutes ago. I like the rock. And the premise reminds me of what Heinlein wrote about pilots in ‘Starship Troopers.’ Which (politically incorrect old freakasaurus that I am) I still like. So I think I’m gonna buy this book. @frankolynk If you want to get really technical, yes. (Although Jaquard’s looms did not use paper punched cards.) You’ve also left out automatons, player pianos, and music boxes, which used punched card technology to encode information. But then I also glossed over the invention of modern rocketry, airplanes and ballooning as ways that man got off the planet, if not into orbit. Oh, and I left out mechanical calculators, abacuses, and slide rules when I said that all the math was done by hand. But you know what I meant there. So to clarify, in modern parlance, “punchcard” usually means an IBM punchcard. The book sounds great, but I think the history presented in the post needs a couple of clarifications. First, NASA was never seriously “considering” women astronauts at that time. The medical testing the Mercury 13 underwent was done independently by the doctor who ran the clinic that NASA contracted with to have the original astronaut candidates screened. 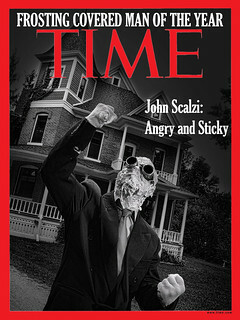 His results did indeed show some of the data that was referenced here, but NASA was not directly involved with the testing of the women and never considered them as astronaut candidates, and the women never went through any of the other screening processes (aside from the independent medical testing) that all of the astronaut candidates did. In fact, the agency really couldn’t consider them since the requirements at that time (which were not originally developed by NASA but imposed upon the agency) included jet test piloting experience, which no woman then could meet since there were no female military jet pilots, test or otherwise. Second, Lyndon Johnson did not personally “shut down” plans for these women to be considered. When the women realized that they were not in fact part of the official NASA process a couple of them lobbied far and wide to have that changed, including appealing directly to Johnson. Johnson eventually took the position that the decision whether to consider them was NASA’s to make and that he was not going to get involved or overturn the agency’s position. I’m having my hair done, as is apparently the appropriate thing for a lady, so you’ll have to forgive me for not being able to cite page numbers. First of all… I did not say that NASA was running the testing. But since you bring them up, yes NASA did seriously look at using women for the Mercury program before they selected any astronauts because the weight margins were so narrow. Then they considered it again when the Russians beat us into space with Yuri Gagarin so that we could have a first. Third… It’s worth looking into why and when the jet pilot requirements were imposed on the agency, but I’ll let you play that game solo. Now I’m going to continue enjoying having my hair set like a good little lady. You know, given the amount of research I know that Mary did, up to and including spending time with astronauts and NASA, I’m finding the “well, actually”-ing in this thread to be somewhat annoying. Let’s not have any more of that, please. Timing is important. Midweek, because the golf courses are well away from the White House. I almost remember IBM, and can’t remember the Greek brass gear half rusted thing’s name (and gears aren’t different from punched ;-p cards: they mesh or not) but knew that the punch card reference to to those those things. Had I wished to show off I’d have tried to mention specifics of the IBM people standing on the shoulders of Giants. Sorry: punched cards? Yeah, so 25 years later I turned 30 and learned that my big sister was a good poker player and that a full house may not actually lose to a pair of royal flushes. In spades. There actually was a time several years back when the shuttle commander and space station commander were both women, thus fulfilling Heinlein’s ‘prophecy’ of women in charge of space flight.